This one just fluttered through an open office window...a reissue of Hans-Joachim Roedelius' six solo piano improvisations from 1986. 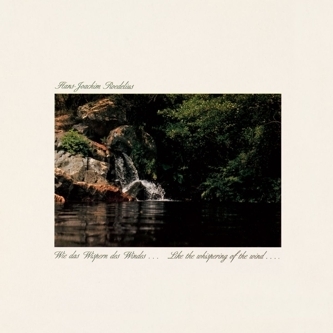 Touchingly dedicated to his mother, 'Like The Whispering Of The Wind' is a luxurious suite of performances produced at his home and a friend's house in Vienna between 1983-85, and includes 'Beneath Blooming Trees', a cut from a live performance at the Bloomsbury Theatre, London in 1985. Lush.